Most of these tops work for Windows 10. Partition your HDD to improve performance. Web Server Example. Do you have a SSD Drive? Here’s the optimization tips. 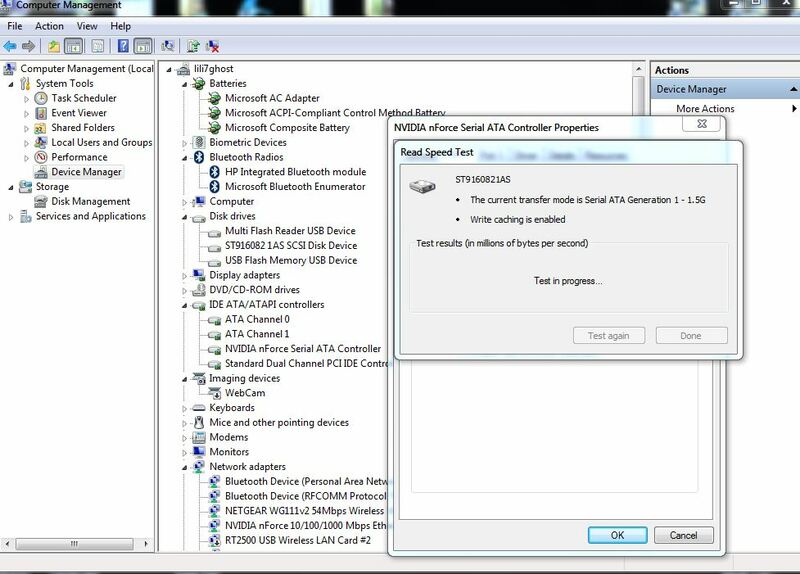 Test Your Hard Drive Speed With Windows 7’s Device Manager – You can test your hard drive speed by going to the Device Manager, Expanding the Hard Drive Controllers, select the Port and Click on the Test button. Make it Faster with (Free – See our Review) DiskMax and Defrag with Auslogics. 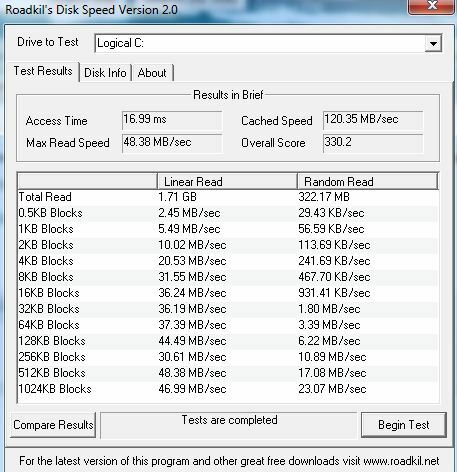 How about Roadkil.net’s Disk Speed? 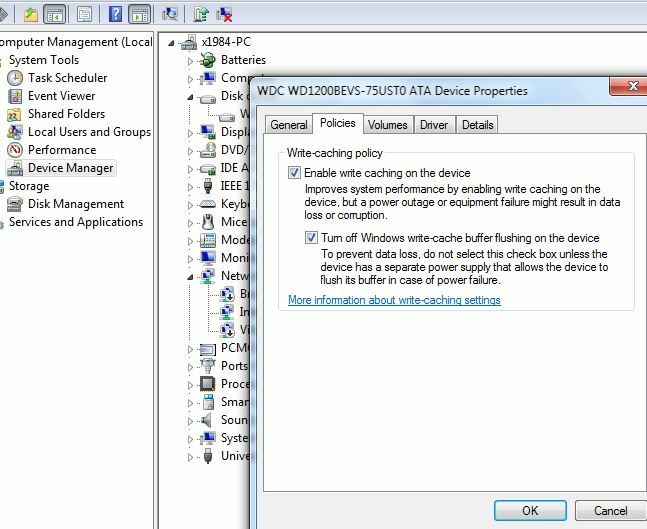 A nice little program if your hard drive test isn’t listed under the device manager. 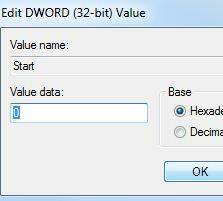 Also check your computer’s hard drive with CheckDiskGUI. When tweaking your computer, you can use typical utilities found in one of our most active posts or you can use Winsat. Winsat will not give you fancy graphs but it will give a Windows rating and a time to complete specific tests. This can be a way of measuring your drives between tweaks. ATTO – “The industry’s leading provider of high-performance storage connectivity products” has great products and an excellent benchmarking utility that measures your hard drive’s I/O read/write ability. What about caching programs to speed you up even more? I’m always cautious when I hear about caching programs. Mickey sent me Bill Mullin’s link over to TechRepublic where Romex’s FancyCache is reviewed. In its Beta release, FancyCache offers a simplex program that uses unused memory to boost the speed of your hard drive. But does it work? Yes. My Dell Inspirion is already fast, but with FancyCache, programs do open quicker and the computer is even more responsive. With the ability to tweak how I wanted to cache, I used 2gb of the 6gb of RAM on board in the settings. The default settings alone were convincing enough to show how my computer sped up after a few minutes of use. Although my computer is a 64bit laptop, the caching methods used and the read/write cache algorithms did boost performance. The only problem I had was once I downloaded the software, it said it was expired. A quick check on their website and keys can be obtained here. The latest key is valid until July 2013. Will I buy this product? I’m not sure yet, time and use of Fancycache will tell. What about SSD Drives? Are they faster? Notice this Benchmark compared to the Seagate 6 Gb/s (above) that was at 70 MB/s this is a 75% increase in speed. 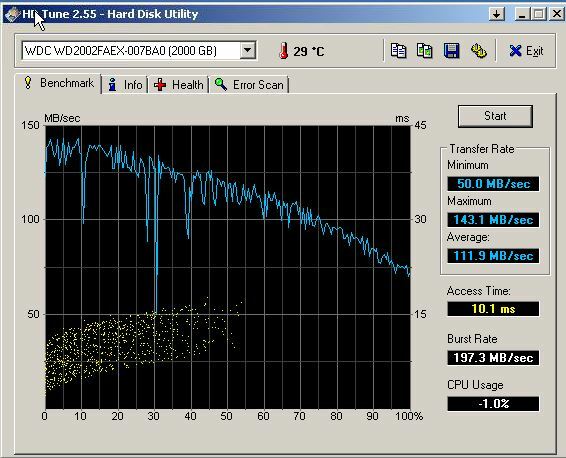 How to measure your hard drive speed. Find updates for drivers to improve your hard drive speed! Want to Benchmark your hard drive with Ubuntu? What’s a fast computer on a slow network? Learn the basics of subnetting without using binary! See our review of Windows 8 and see how you can run 90% of your programs, virtualize other operating systems, use your network and more. Now go and Tweak your wireless settings! 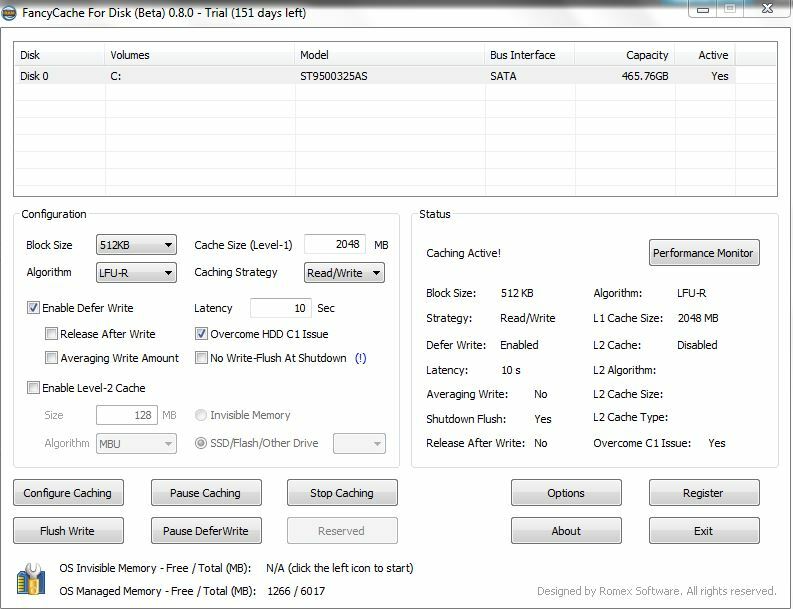 Collect detailed information about your drives and files. What If I Have a SSD Drive? 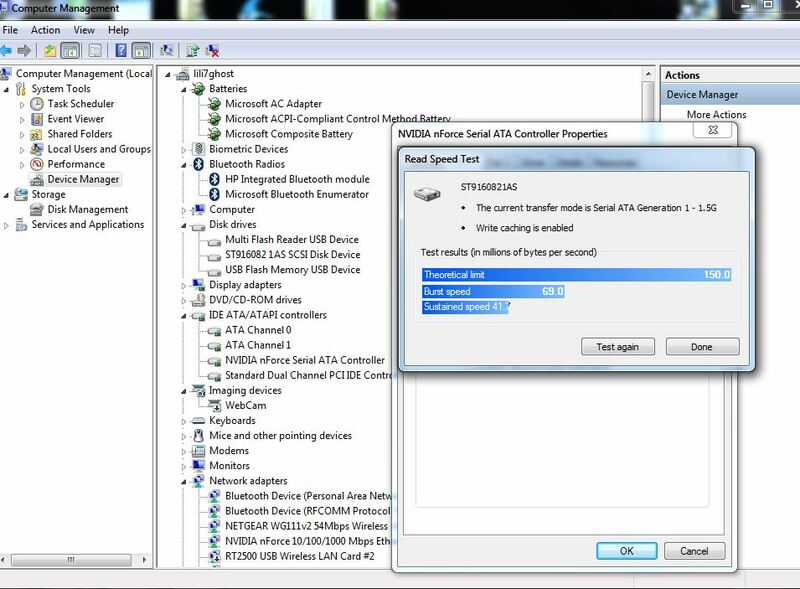 Make sure your SATA controller is set to AHCI mode. Do you see the AHCI controller? How do you enable AHCI? Open Registry Editor and move down to HKEY_LOCAL_MACHINE\SYSTEM\CurrentControlSet\services\msahci. Right click on the Start DWORD and click on Modify. Set the value to 0 and click OK.
Reboot your computer and enable the AHCI setting the BIOS. Another restart will be required to finish the driver installation. Next, turn off Defragmentation. These drives should not be defragged. Next, turn off indexing. This causes unnecessary writes. Next, Click on Start -Right-Click Computer – Manage – Services and Applications – Services -Right-Click Windows Search – Properties Find the Startup type – Select Disabled – Click OK.
Click on Start – Computer – Right click on your SSD – Properties – Uncheck Allow files on this drive to have contents indexed in addition to file properties – Click OK. Check for the latest firmware! 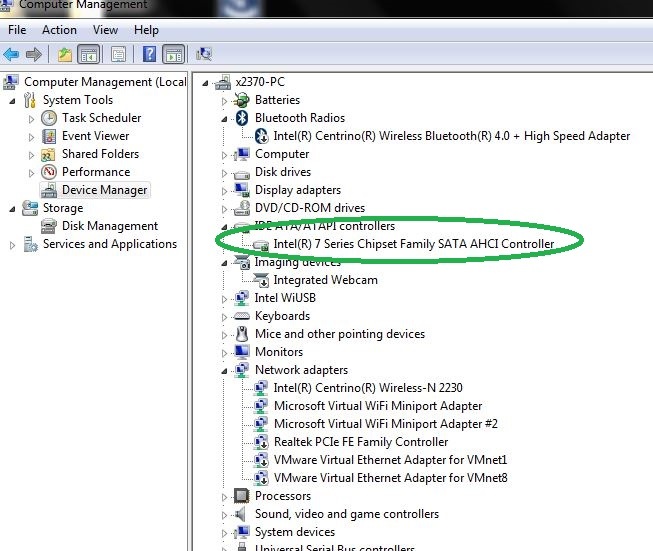 Load Windows Server or Windows 7 on the SSD drive. Optimize the SSD and complete these actions. Gamers and IT professionals along with home users that are power users can significantly improve HDD performance by shrinking the partitions on their HDDs. 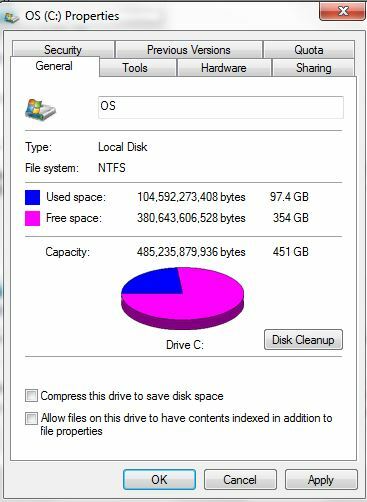 By using the Disk Management utility in Windows you can shrink large HDDs as needed to increase performance. 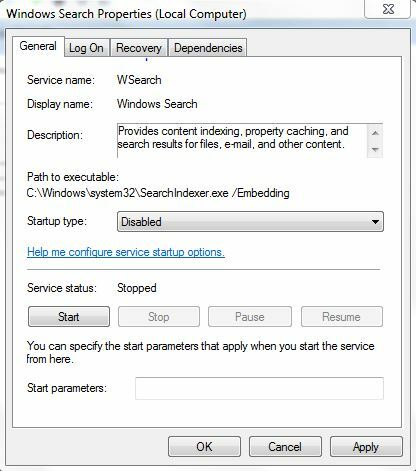 For optimal system performance on an IIS server, you should install Windows and IIS on one drive and data on another drive. When you install Windows, you can partition the entire drive with the full amount and use disk management to shrink the drive later OR you can give yourself enough space +30% for temp files (etc.). By shrinking the drive, this optimizes the drive by not only placing files where they should go but allows the drive to become efficient by having only a certain amount to index and read. The same should be done for the data drive. You can extend the partition as data grows and space is needed. Partitioning SSD drives will show a gain, but because of the economics behind SSDs at this time, it may not be economically feasible. SSD drives can be optimized in other ways. Linux and Apple drives can be optimized by partitioning. Golden Rule – Do not use the unallocated amount. Save it for growth or files that are not accessed often. Over-provisioning is the allocating of a specific amount of free space on your SSD. Over-provisioning improves SSD endurance and performance. Many SSDs are packaged with software that helps the end user install the drive and to plan for OP. (More advanced drives are doing away with OP). Over-provisioning in Samsung Magician’s software. Did you know it could be your network card if you experience slow HDD performance? This entry was posted in Uncategorized and tagged benchmarking, freeware, hard drive benchmarking, hard drive cache, hard drive caching, hard drive speed, microsoft windows, Software, SSD benchmarking, Windows, windows 7. Bookmark the permalink.